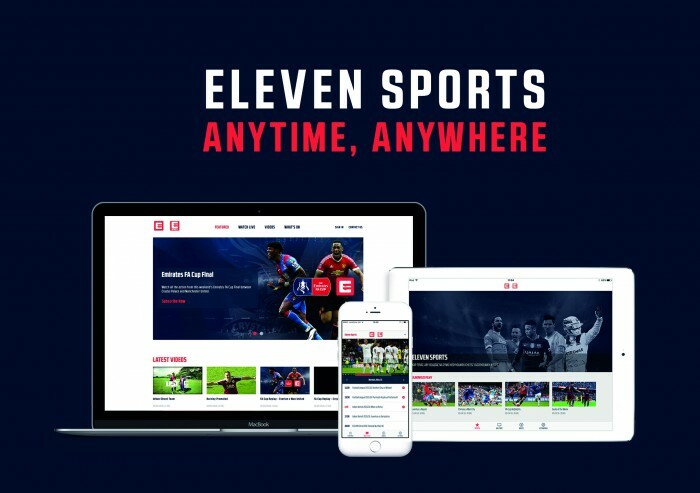 NeuLion and Eleven Sports Network today announced a new digital service partnership for sports fans spanning Belgium, Luxembourg and Poland, Singapore and Taiwan. ELEVEN SPORTS NETWORK is a brand new global sports network dedicated to delivering world-class international and domestic sports and lifestyle entertainment. The business agreement between NeuLion, the leading product and service provider in the broadcasting, distribution and monetization of live and on-demand digital video content to Internet enabled devices, and Eleven Sports, creates a top-class new digital service offering. The Sports Techie community blog is sharing this launch in particular for our global readership and followers across Europe and Southeast Asia. The sports tech continuum of business alignments between sports technology companies such as NeuLion together with Eleven Sports Network is forever changing the future of the fan experience for the better. Eleven Sports recently transitioned from eversport.tv to the NeuLion Platform. Eleven Sports recently transitioned from eversport.tv to the NeuLion Platform. On May 18, international fans are now able to stream LIVE and on demand premium sport content. In particular, the expanded Eleven Sports service enables mobile device, tablet or laptop carrying fans the online and as an app subscription option to watch the upcoming UEFA Euro 2016 final match in Milan between Real Madrid and Atletico Madrid, the Liga BBVA, and Formula 1, or the ongoing NBA playoffs Western and Eastern Conference playoff, and the NBA Finals. Launched ahead of this weekend’s Emirates FA Cup Final on Saturday 21 May, all football fans in Belgium, Luxembourg, Poland, Singapore and Taiwan can enjoy EXCLUSIVE coverage of the clash between Premier League teams, Manchester United and Crystal Palace, via the ELEVEN SPORTS platform, either LIVE or by Catch Up the following day. This summer, soccer fans in Singapore will have access to LIVE and EXCLUSIVE UEFA EURO 2016 action, with every match from the tournament available via the evolving ELEVEN SPORTS service. Subscribers in Poland can follow every race from the 2016 FIA Formula One World Championship™ and football from the world’s leading pre-season club competition, the International Champions Cup, this summer, while fans in Belgium can catch action from the NBA Finals and viewers in Taiwan can enjoy tennis from the ATP 250 Tour. Eleven Sports subscribers have the ability to use NeuLion’s advanced technological features immediately. Their unique Catch Up option gives users the chance to watch any LIVE sport, entertainment or programming on the network’s channels over the past 24 hours, ensuring each fan the power to never miss a moment of action no matter the time zone or connection speeds. NeuLion Video On Demand (VOD) gives Eleven Sports viewers the opportunity to stream clips and short form highlights of the best plays and in-game strategy, complete with pause and rewind LIVE coverage of the most compelling sporting events worldwide. NeuLion and Eleven Sports Network announced a new digital service partnership for sports fans spanning Belgium, Luxembourg and Poland, Singapore and Taiwan. Sports Techie, as the sports world continues its warp drive towards enhanced digital platforms, NeuLion is leading the way towards modernization, monetization and distribution for partners like Eleven Sports Network and their subscribers across Europe and Asia. Enjoy the sports tech upgrade at Eleven Sports thanks to NeuLion.